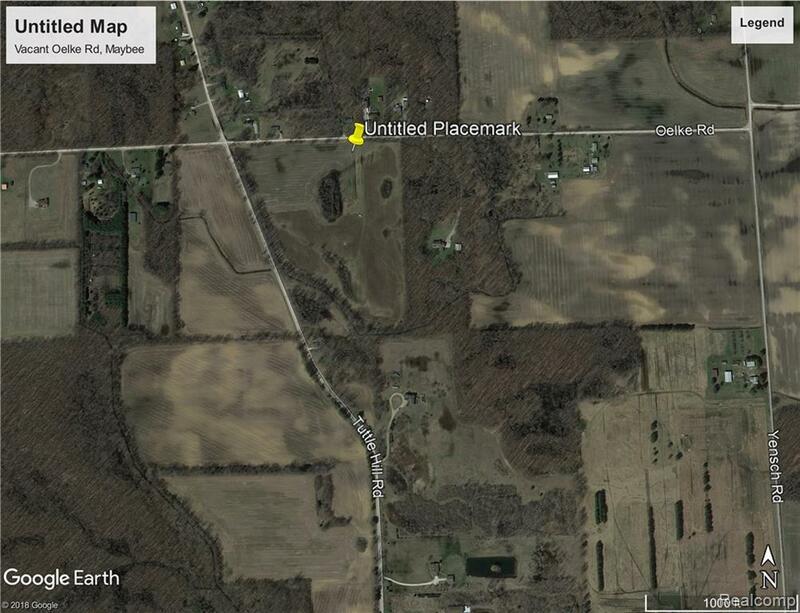 20 Acres vacant land on Oekle Rd., Maybee (London Twp.) Nice residential building site or recreational property in an open country setting. Plenty of room to do a variety of things. Clear/Open relatively flat with some woods in the back. Well, Septic and Electricity. Unparsed Address 0000 Oekle Rd.